The 502 light bulb sign above the Highland Theatre building was re-lit today. The lighting was part of a project to help preserve signage along Route 66. 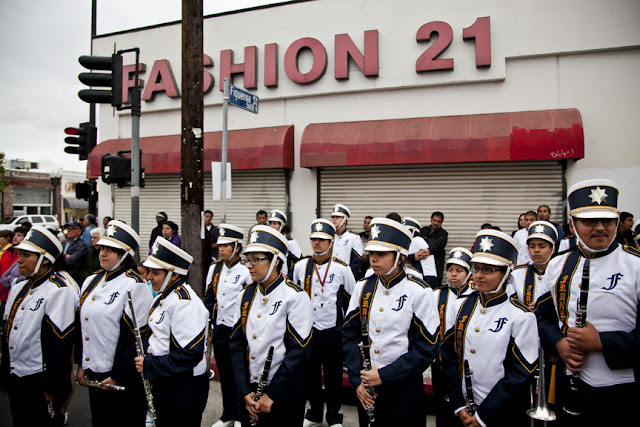 Hundreds of HLP residents watched along Highland Park's Figueroa Ave., and joined in on a impromtu countdown as the sign was lit by city officials. The local high school band from Franklin High provided their musical talents during the ceremonies, and a local baker gave away samples of his red velvet cake. 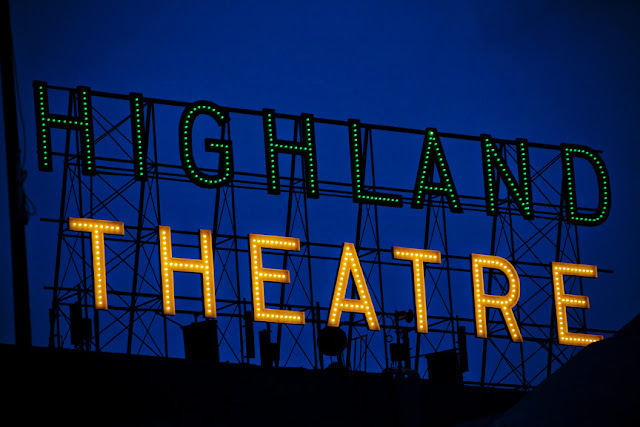 The Highland Theatre sign re-lit. 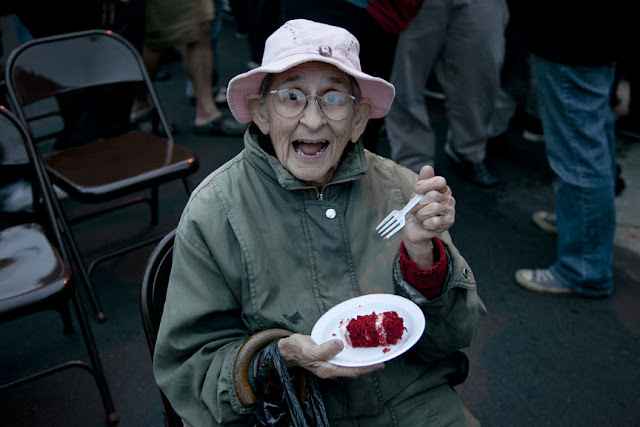 Long time HLP resident enjoying some red velvet cake.